A broken man, a broken country. It is the summer of 1874. The American Civil War ended nine years ago but Silas Flood cannot escape its shadow. During the war, he served as an army chaplain at the Wilderness and Spotsylvania Courthouse only to lose his faith, his family, and his vocation. Now he finds work as a journalist for a New York newspaper. In mid-August he is dispatched to the mountain village of Moriah, Vermont to investigate sensational claims of supernatural happenings at a wayside inn where the brothers Thaddeus and Ambrose Lynch are said to converse with spirits and summon the dead. 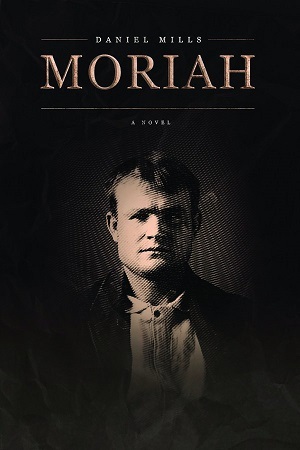 In Moriah, Flood encounters others like himself: a grieving couple, a childless widow. By day he questions the Lynch brothers who prove less than forthcoming for they too are haunted by buried secrets, old ghosts. In the evenings he attends séances where the ghosts of the dead dance and sing and give comfort to the living. As he investigates the nature of these phenomena Flood must come to terms with his past and with the hold it has upon him.